Hello all you crafty people! Join me in another Disney It Yourself project: The Disney DIY lamp shade! First, select which silhouette you’d like to use. 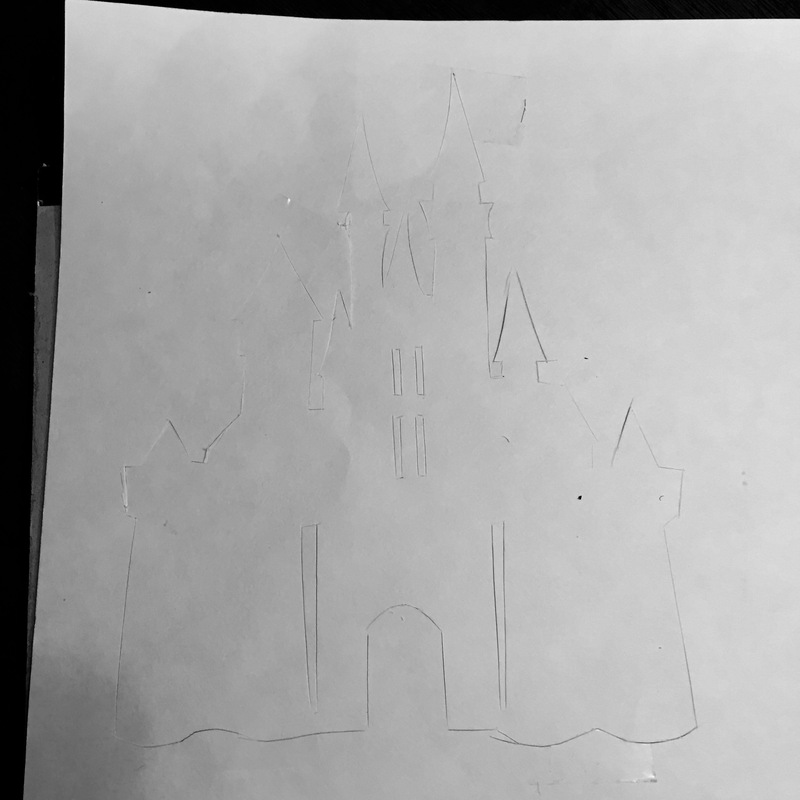 I googled “Disney Silhouettes” and chose Cinderella Castle. I sized it to fit my lamp shade (by pasting the photo in Word) and printed it off. Next, cut out the silhouette and tape it to the card stock. Taping it onto the card stock will ensure that it doesn’t move while you’re tracing and cutting. 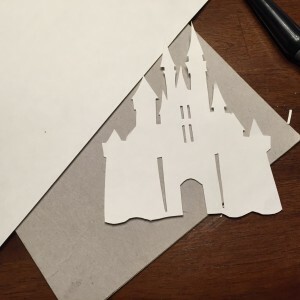 Using your X-acto knife (which I would highly suggest for this part), trace and cut out the silhouette. This part will take some patience, so make sure you have some stored up before starting this project! I darkened the photo so you could see the cut-out more clearly…didn’t work out too well. Pop out the cut-out. If it doesn’t pop out right away, use the X-acto knife to trim away any stuck edges. Here’s what it should look like: Now grab that lamp shade. 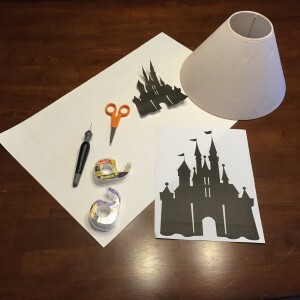 Place the cut-out where you want it and tape it on to the lamp shade. 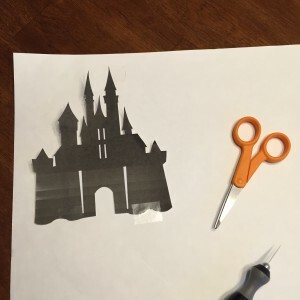 If you’d like to adhere the silhouette more permanently, try using an adhesive spray. 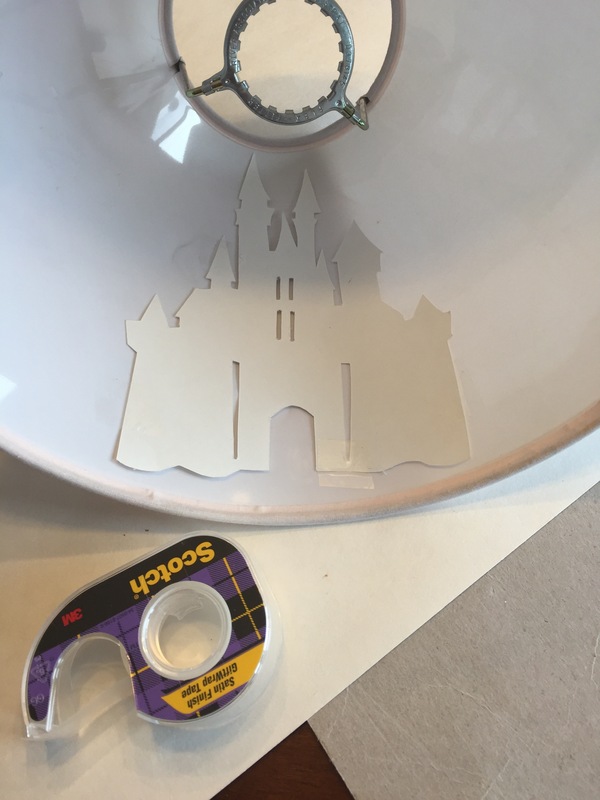 I like using scotch tape because it’s easy to remove if I want to change out the castle for something else. Attach the completed shade to your lamp and you’re done! I love love love this DIY. 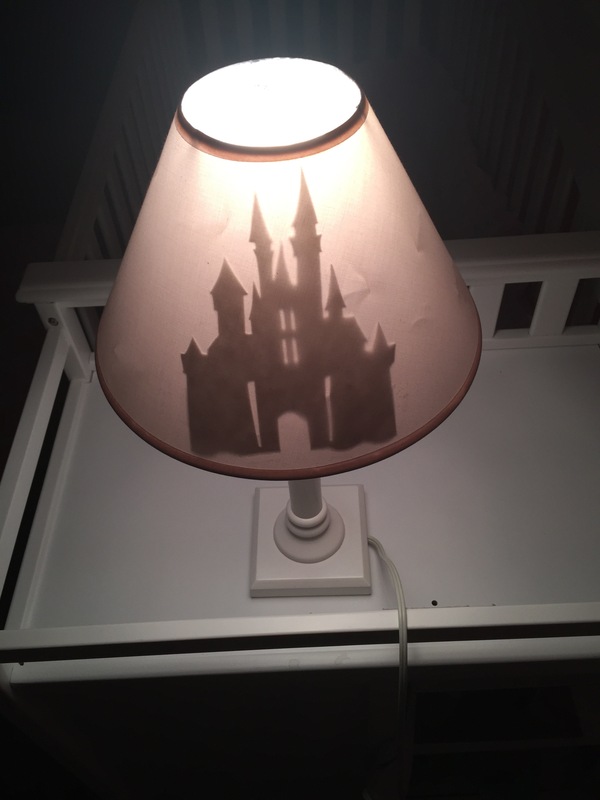 It is a great project to add a subtle touch of Disney to your decor. 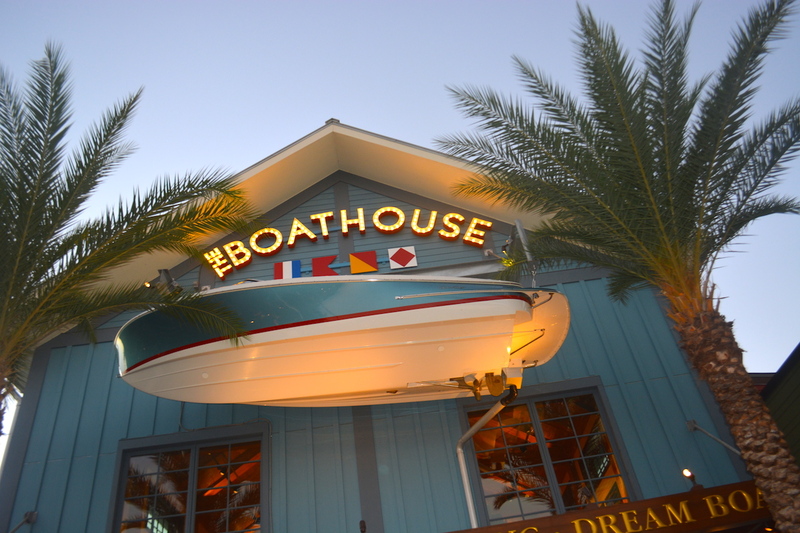 It was fairly simple and required materials you would most likely have around the house. Is this a project you would try out? If you do recreate it, please post a photo to my Twitter @AngelaDahlgren. I’d love to see it! Now, do it again. But this time use a brown lamp shade and “Wilderness Lodge” cutouts. The ones with the bears, deer, etc. Good idea! If you do it, send me a picture on my Twitter @AngelaDahlgren. Find a friend with a cricut or cameo cutting machine to cut it out for you! Maybe I should just go buy one…Can you imagine how much easier/faster that would be? !